if she loses her atmosphere and urge. Prithvi Tattva is an element which does not need any imagination to understand and connect to. According to Kashmir Shaivism there are 36 tattvas that constitute our existence. Prithvi tattva is the 36th tattva and Shiva(Pure Consciousness) is the 1st tattva. Essentially our journey is to reach the ultimate, to merge with the Supreme i;e Pure Consciousness the Shiva. Our journey begins from Prithvi Tattva. Prithvi or Earth the name itself suggests solidity. Our physical body that is the basis of our existence is direct manifestation of Prithvi Tattva. Our body is created with Earth element so it is very understandable that our journey begins from the physical body. This is the very reason that primary practices of Tantra start from the primary body. and by the substances found in it. An interesting fact, is that as the Prithvi Tattva requires presence of all the elements to sustain and support the life, in same way our body also requires presence of all the elements for life and its sustenance exhibiting similarity although having distinct differences in quality, quantity and dimensions. According to Vedic knowledge all the elements are within the Earth element and all the element rise from Space element. Prithvi Tattva is known to us as green fields, gardens, plants, trees, mountains, rocks, stones and much more. There is much more that reminds us of Earth, like patience, fertility, nurturing, stability, steadiness and security. The Prithvi Tattva in its subtle forms instils these characteristics in us. A person with strong Prithvi Tattva is a responsible, reliable, steady and stable person. Earth person has a conventional attitude, likes the traditional and detests the modern. They are excellent organizers and builders. They work for results and know how to produce results. They are hardworking and logical thinkers. When the Earth element gets imbalanced, it starts to show the negative aspects too, like a person becomes rigid, stubborn, obsessive, lazy and dull. There are practices that help to balance and cleanse the Prithvi Tattva. It is considered to be basis and foundation of all the elements and the life. It is called upon when our life misses the security factor, when things happen, relationships bloom and jobs secured but only to loose them soon. Everything seems to have a short span. Earth is the element which enters the relationship to bind it in commitment and give it a social name. Earth comes in life to give it a meaning and tie a wandering ship securely to its anchor, but too much of it may never let the ship move and it may tend to forget its really meaning and goal. Our physical body as perceived to us due to Prithvi Tattva. It gives structure to our body. It is related to the solid structures of our body like bones. Prithvi Tattva provides conduits in the body through which other elements flow. Earth element corresponds to Muladhara (Root Chakra). The chakra which associated with security, foundation and self image. Muladhara is considered as foundation of energy body. The tanmatra related to Prithvi Tattva is smell (gandh). The related Jnanendriya is nose and related Karmendriya is excretory organs. Its manifestations are sound, touch, form, taste and smell so with Prithvi we have all expressions primarily because the tattva that creates this physical reality is not pure-sattvic-earth rather panchikrit Prithvi Tattva. Panchikaran is a bit complex process but in simple words it means that in reality every Tattva is not purely that but mix of all other tattvas as well. The siddhis related to Prithvi Tattva are getting knowledge of past, present and future, getting control over elements of Earth, acquiring a supernatural sense of smell and Darduri Siddhi. It is just so easy to connect to it but we seldom do so. Have you touched a tree lately or just sat on cool green grass, to know that the nature is just all around ready to connect and mix within us. Earth is like a support that gives nourishment and shelter. Earth is fertile and full of life blossoming from it. 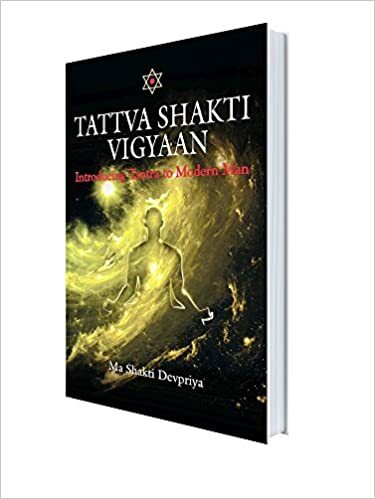 Tattva Shakti Vigyaan says the Earth element within us can become a source to connect to all elements within. To know about your elements is very vital. It will help understand the underlying cause and basic reality of every situation of your life. It helps you gain an deeper insight in your life. Elements that are the building blocks of this universe, so when you deal with them you deal in the most direct way. To our despair Earth element in its gross form is slowly and slowly vanishing from the our vicinity. Many of us still try to keep the connection cord safe by planting potted plants and housing small gardens. We should become Tattva Mitr by forming a secure and stable relationship with the elements.